Home / Posts / WIN STUFF! / CLOSED: A Tank-Tastic Time! 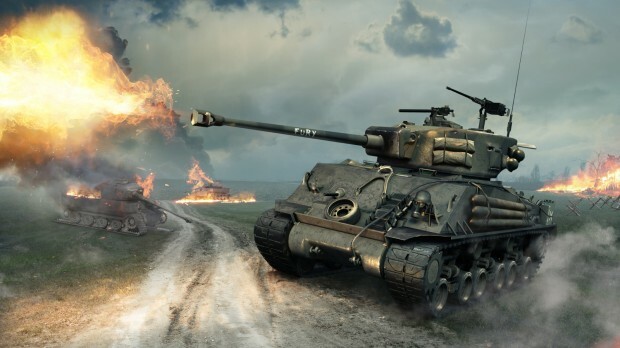 Thanks to Wargaming, we are giving away: 5 sets of the M4A3E8 Fury Sherman – Premier Tank with garage slot and 7 days of Premium for World of Tanks PC plus a top prize that also includes a family ticket to visit Bovington’s Tank Museum (2 adults and 2 children). To be in with the chance of winning this fantastic prize, just answer a simple question to be entered into the draw. Good luck! Question: Where is The Tank Museum based? Submit your answer by email. We’ll pick one grand prize winner for the tank museum ticket and 4 runners-up on Thursday 24th October on Sunday 26th October and email them with the details. Please note that codes are only valid on the EU/NA server.